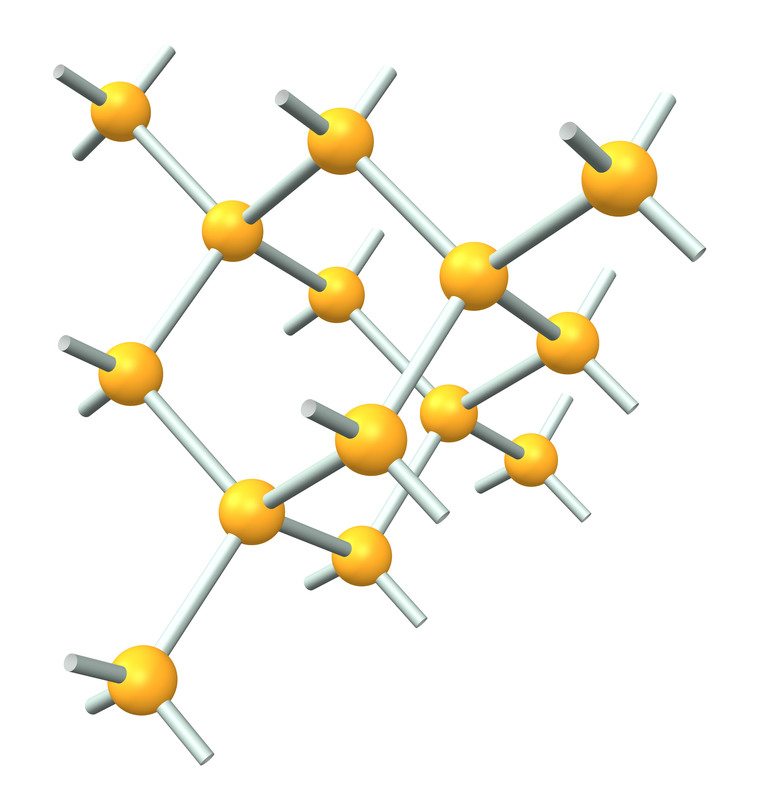 The ball and spoke diamond crystal unit cell, with and without the balls. 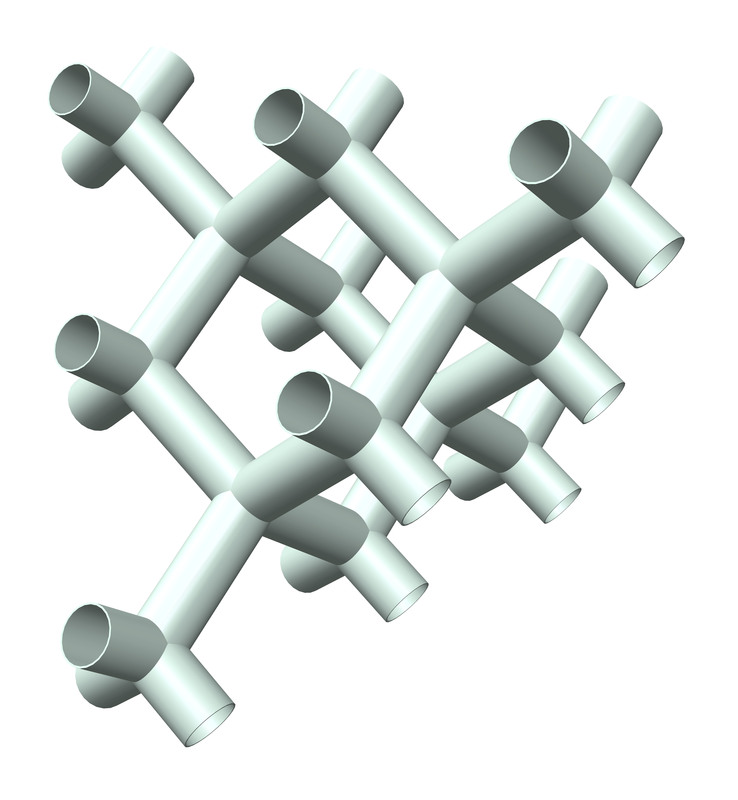 If we expand the diameter of the spokes without the balls, the structure morphs into a series of tunnels connected together, which map the geometry of the diamond crystal. 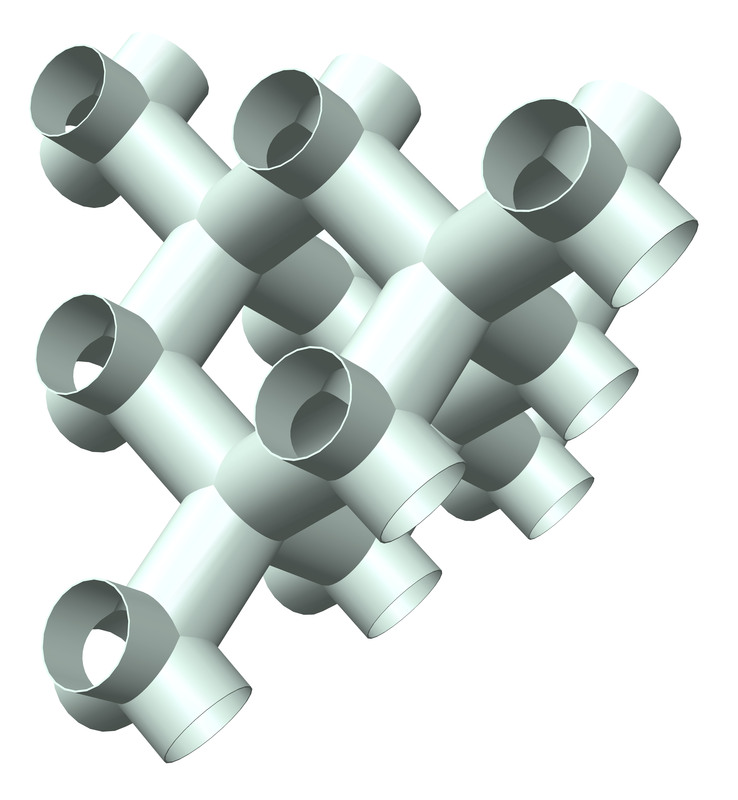 Enlarging the connected tunnels creates a three-dimensional spatial labyrinth, which begins to suggest the idea of the Curved Space Diamond Structure. Continuing to enlarge the tunnel diameter until the interior space of the labyrinth is approximately the same size as the space outside of the tunnel labyrinth. 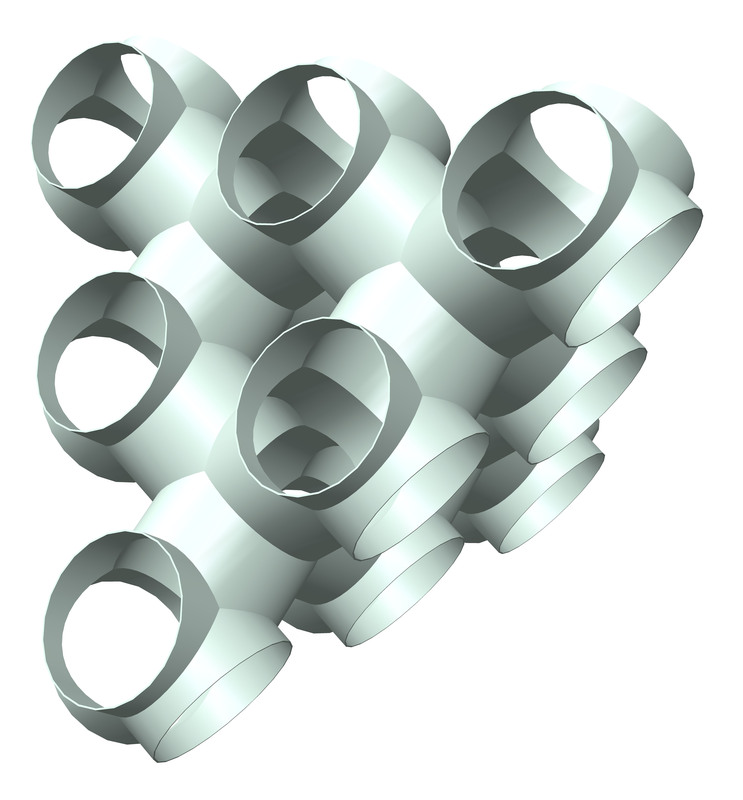 Smoothing out the tunnels by adding fillets to the intersecting tunnels simulates the three-dimensional continuous surface of Curved Space Diamond Structure. 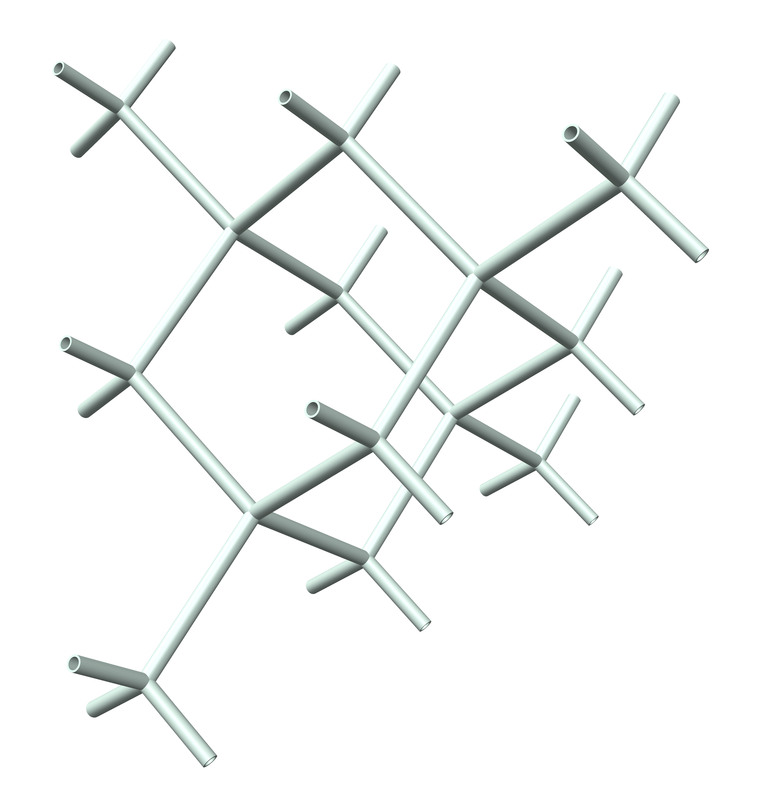 Animation of spoke expansions to continuous surface model. 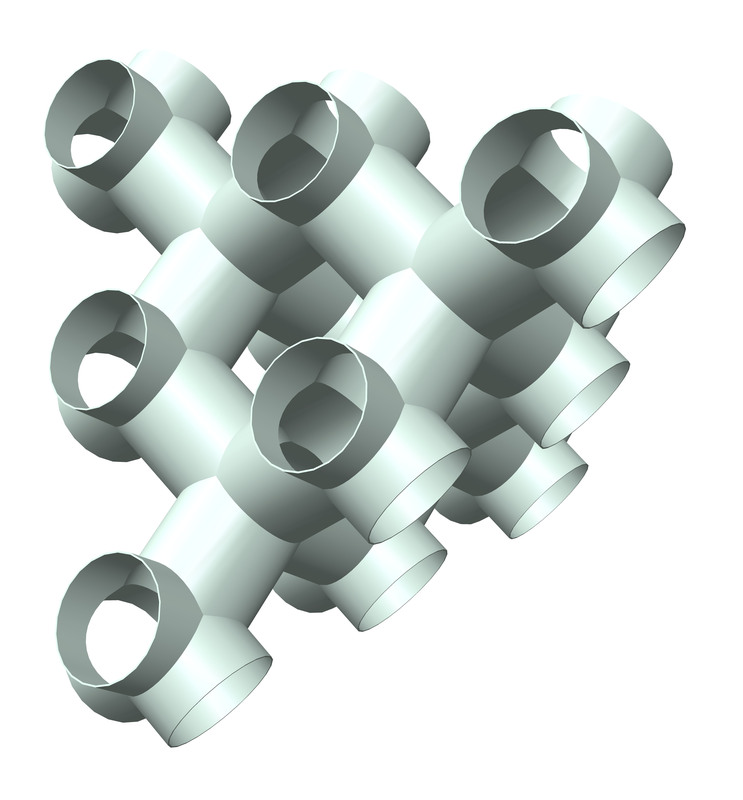 Animation of unit cell space filling with spoke derived continuous surface.